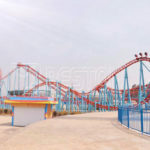 Roller coaster for sale is a thrill amusement ride in Beston Amusement which is developed for the amusement parks, theme parks, carnivals and other funfairs. 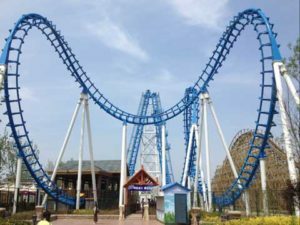 But there are two kind of roller coaster rides according to its size, one is the big roller coasters and the other one is the small roller coaster ride. 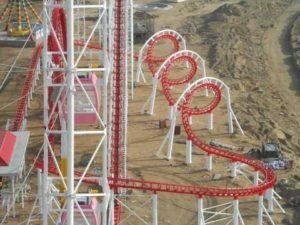 Smaller roller coaster rides designed for kids while large roller coaster for sale are designed for adults who are seeking thrills. 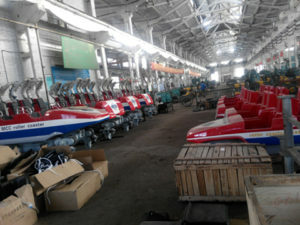 We designing and manufacturing large and small roller coaster rides in our factory. 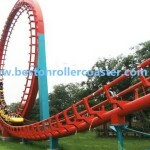 Welcome to buy thrill roller coaster from Beston Group! 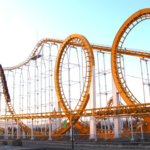 Usually a roller coaster consist of the climb, slide and the reverse process. The orbit is not always a complete circle, designer often design some roller coasters that the roller coaster cars could move back and forth. 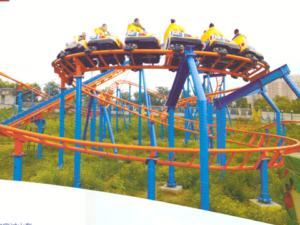 Generally, each car of the roller coaster could hold 2, 4, 6 or even 8 people, these cars usually connected by the hooks, just like a train in the air. 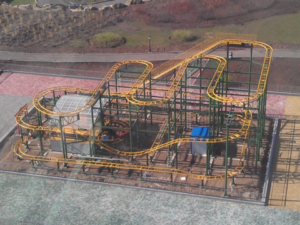 Roller coaster is an amusement equipment that use gravity and inertia to work. 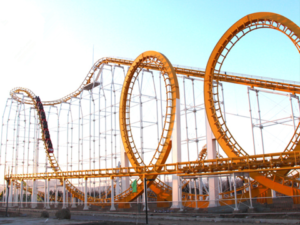 With the flourishing of the amusement roller coaster industry, there appears lots of roller coasters. 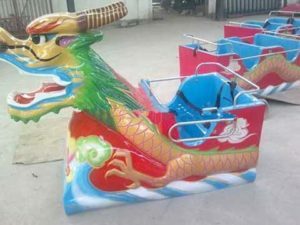 As for Beston, a leading amusement ride manufacturer who was involved in this industry for more than 20 years, owns professional designers and technicians. 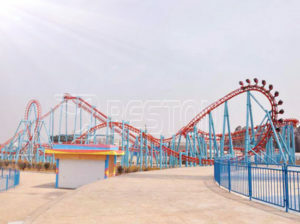 There are types of roller coasters in Beston factory which including big thrill roller coaster rides, small roller coaster and mini roller coaster for backyard use. 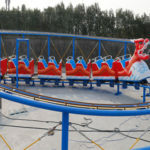 For large roller coaster, we have 3,4,5 and 6 ring roller coaster with high quality which has been exported to many countries. 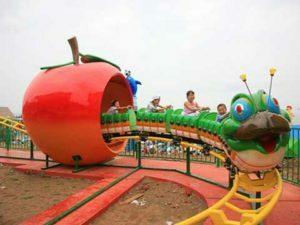 For small and mini roller coaster, we have many models of dragon roller coaster rides( green dragon roller coasters and red dragon roller coaster rides) and many models of green slide and fruit worm roller coaster rides and mini shuttle roller coaster rides. 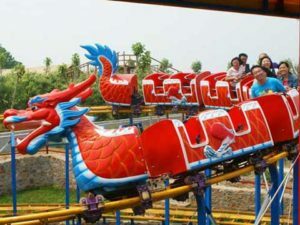 These smaller roller coaster rides mainly designed for kids in the amusement parks, funfairs and also in the backyard. 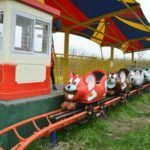 Large and small amusement park roller coaster rides for sale in Beston factory which is popular used in the amusement parks, theme parks, funfairs, kiddie parks and etc. 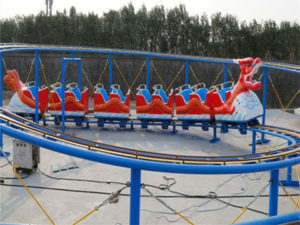 We manufacturing and designing all types of amusement park use roller coaster equipment with reasonable price. Roller coaster, one of the most classic thrill rides. 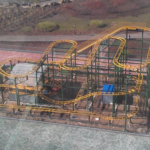 Buy your amusement park roller coaster now from Beston Amusement. 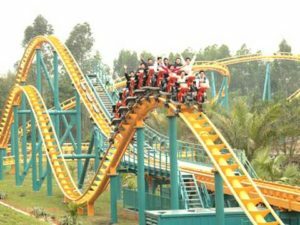 Roller coaster is a kind of thrill and exciting entertainment equipment. Its high speed is attractive to people. If one who are interested in physics, during the riding process, you will experience the adventure and the law of physics. And in reality, the work process will show us lots of physics laws. 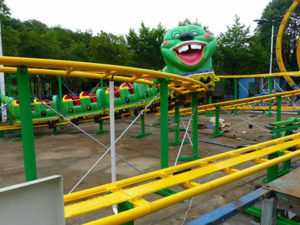 In the beginning, the roller coaster car will be pushed to the top by a mechanical device, but after the first down movement, there will have no any device to provide power the ride. It mainly depending on the gravity, geopotential, kinetic energy, and inertance to finish its whole “trip”. The last cabin of the roller coaster is a gift for brave passengers. Because, passengers in the last cabin will have the strongest feeling of the decline, it moves faster than the first cabin. 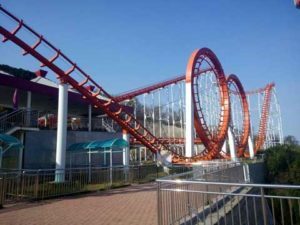 Vertical ring of the roller coaster is a kind of centrifuge device, when the roller coaster approaching loopback, passenger’s inertia will move straight to the front, but due to the cars tracking orbit, , passengers will never move forward in a straight line. And then gravity will force the passengers away from the floor, but during the working process, even though there has no any protective measure, passengers will still stay in the ride. 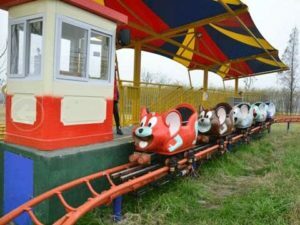 It is a kind of medium sized amusement equipment which is bounded to a given track, it is just like a flying train in the sky. 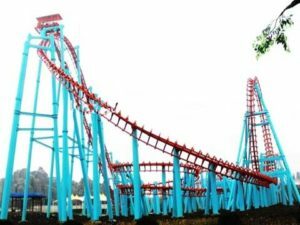 Giant or we can say big roller coaster is designed for the big amusement and carnival parks, but the smaller one often designed for backyard use, or the small amusement park, sometimes these mini size roller coaster can also be applied for indoor use in the cold winter. Usually the quantity of the car can be customize according to the customer’s special request. LaMarcus Adna Thompson is the “father of roller coaster”. The first roller coaster were made out of wood. 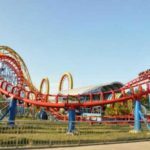 In the early times, there only exist wooden roller coasters, but with the development of the roller coaster industry, more than 30 kinds of roller coasters have emerged. The track of the wooden roller coaster is similar to the train’s track, but when it comes to the 1950s, steel track has been imported. For the steel roller coaster, the carriages stay at the orbit just the wooden roller coaster stays, the difference is that the steel roller coaster could hang under the track orbit. 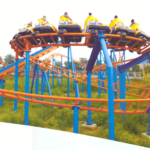 For the suspension type roller coaster, the roller coaster car could swing around the axis. 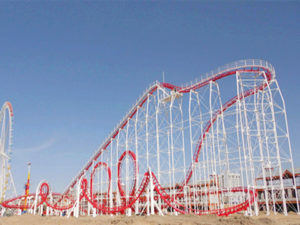 Nowadays, roller coaster industry has become more and more flourishing, it really bring human beings lots of thrill fun. Safety is the most important factors when riding on the roller coasters. So many safety systems should be applied to the roller coaster ride. 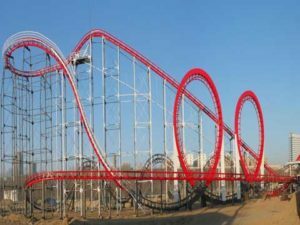 First, the design of the roller coaster requires a working knowledge of physics to avoid uncomfortable feelings and other fatal accident. And the designers should ensure the accelerations. Second, blocking system is a must device. Lots of big roller coasters could 2 or more roller coaster cars at once, this important system will prevents these cars from colliding. 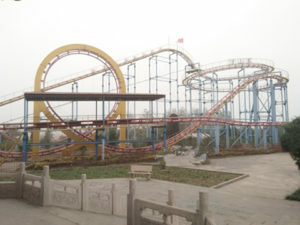 In this blocking system, the track will be divided into several sections, and in each section, one roller coaster car is allowed. At the end of the section, there is a blocking section where the cars can be stopped. Third, the control of the roller coaster operating computer system is very important to the roller coaster design. We often call the system PLC. 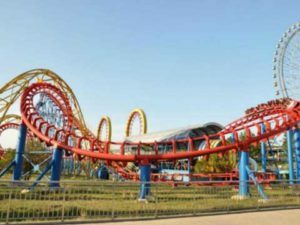 PLC system will detect the wrong process and combine with the mechanism and then to operate the roller coaster parts to keep the whole working process safe. Last but not the least, periodic maintenance and inspection are needed to the whole ride, on one side, it could promise a high safety for passengers, on the other side, it could reduce the cost on the equipment. All in all, sound operating procedures are also a key to safety. 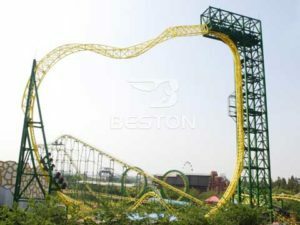 As one of the most roller coaster rides manufacturer and supplier, Beston has designed and produced many sets of roller coaster rides, include large scale roller coasters with 3-10 rings, smaller roller coaster with dragon and slide worm roller coasters for kids. 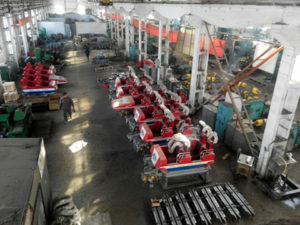 We had sold many sets of roller coaster equipment in our country, also our equipment has been exported to Australia, Pakistan, Nigeria, South Africa, Africa and more than 20 countries. 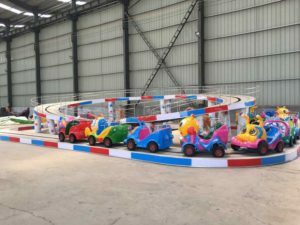 We are the leading manufacturer of big amusement park rides, except for roller coasters, we also produce ferris wheel, disco rides, pirate ship rides and pendulum rides. 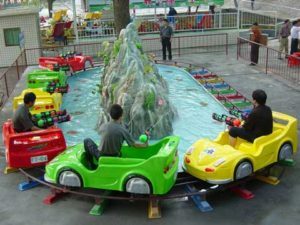 We have our own factory and we has engaged in the research, development and sales of large amusement park rides for more than 20 years. We have more than 300 skilled workers and 30 technicians and modernized workshops covering 63000 square meters. 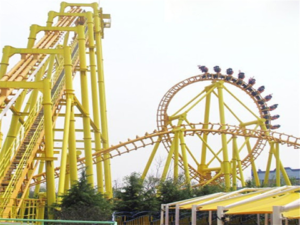 Welcome to Beston Amusement Equipment Ltd for Roller Coaster Rides Relationship!